Callmart: Make connections online. Earn money. Earn extra money at home by selling conversations and consultations! The app that enables you to make extra money by selling your free time, call by call. 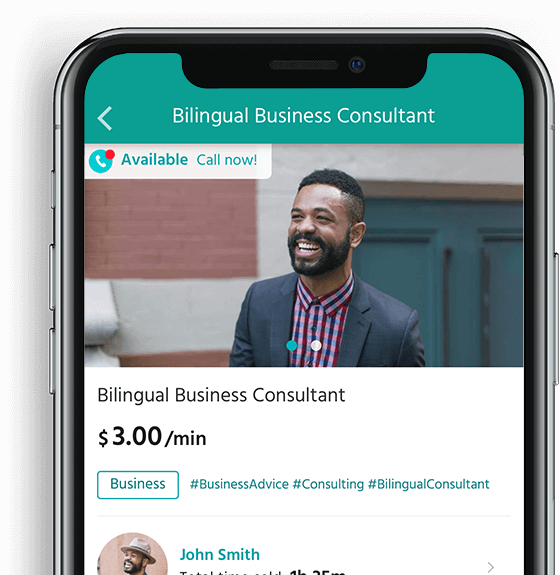 From conversations with your followers to consultations with your clients, Callmart enables you to make money by connecting online with people worldwide. Earn money at home by using Callmart - download the app now! Wants to use free time to make extra money. Wants to speak to someone from home. I want to offer my services and/or knowledge to people all over the world! I want to speak to people who offer the services I'm looking for! Whenever I need a service, I turn to this app! I was able to turn all my free time into making money conveniently! 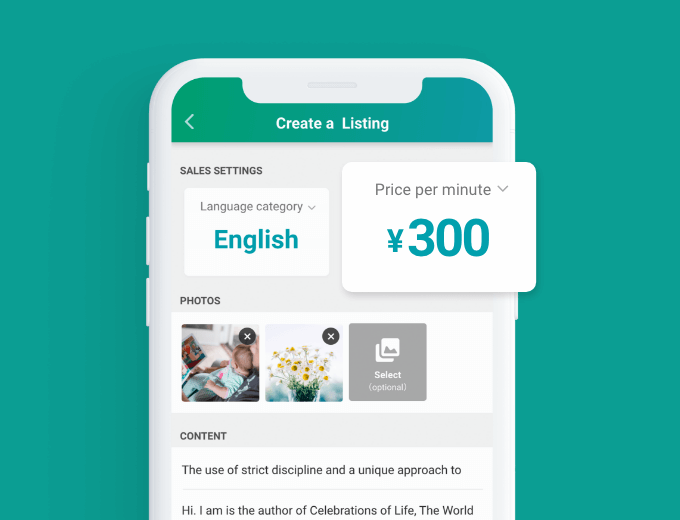 Sell within minutes: choose the language for your listing, then set a fee per minute for your services! Use the social media URL share button to promote your services across all platforms. Each listing comes with a unique URL. Share this URL to hundreds of potential customers on social media, your blog, via e-mail etc, with just one tap! Don't want to get calls while you're asleep or trying to focus on something else? Don't worry! With one tap, you can set when you want to receive calls. You will get paid automatically by the minute. Since the payments are done by credit card, you'll get paid immediately, guaranteed! 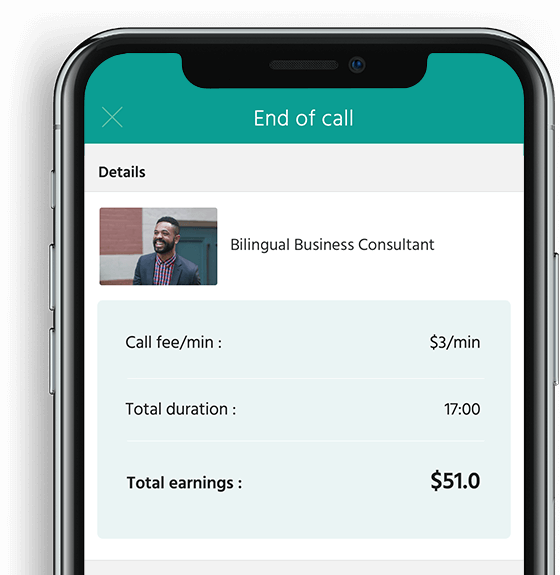 Check your earnings and call time right on the app, whenever you want. Enjoy watching your earnings grow in front of your very eyes! 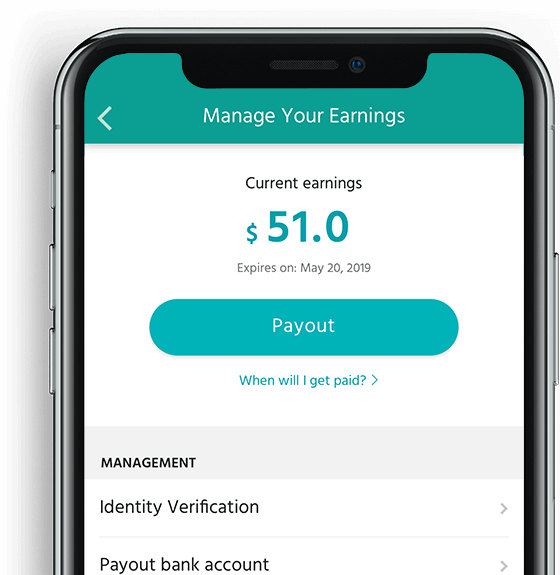 You can apply to transfer your earnings to your bank account through the app whenever you want, from the comfort of your own home. Great talks, consultations, and more! Only get charged for the minutes you need. Look on your favorite influencer's social media or homepage for a Callmart listing! 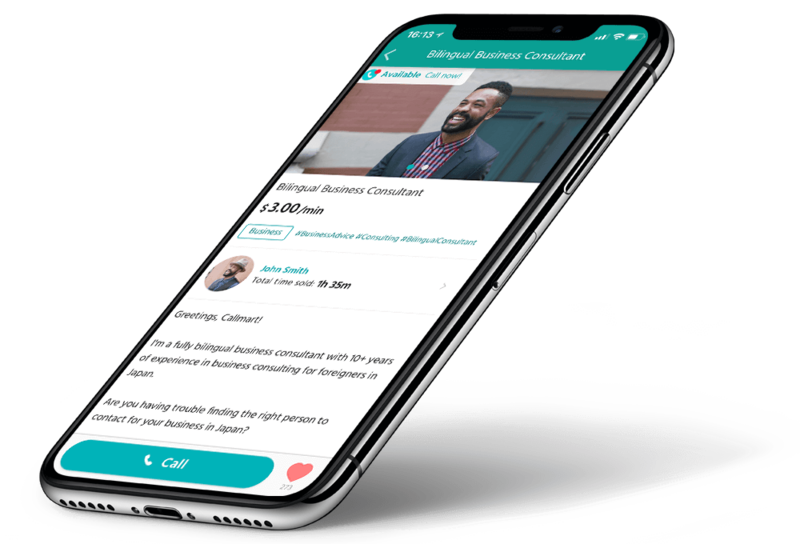 Connect with and speak to industry specialists, celebrities, and more! Just check for a Callmart listing on their social media profiles, blogs, homepages, etc. Find conversations you never knew you needed, solutions to your problems, and more! You might be able to speak to a world-class businessman, or discuss your problems with problem solving experts. Maybe you'll even be able to speak to celebrities! All sorts of experiences are waiting for you. Pay for your calls easily by credit or debit card. 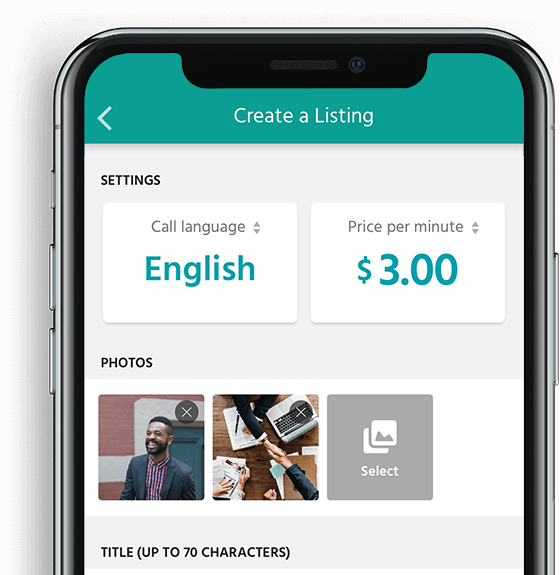 Also, since fees are set and charged by the minute, you can figure out the value of a listing easily. It's that simple to meet your needs at your budget! Of course, selling is free. No Callmart membership fees or card transaction fees. 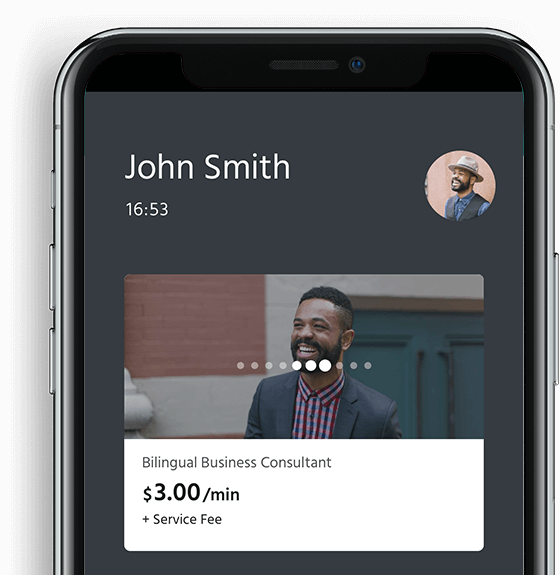 *Stripe is a third-party transaction service. I've uploaded my identity verification documents on the app, but why does the current status still show as "verifying"? How do I edit my address and user information on Callmart? Why can’t I payout my earnings on the app? When will I receive earnings that I’ve transferred to my bank account? Why am I not getting charged for the actual call duration? 2019.01.21 Callmart has been updated! 2018.12.21 Callmart has been released for the world! Matching supply and demand by uncovering the potential needs of society. 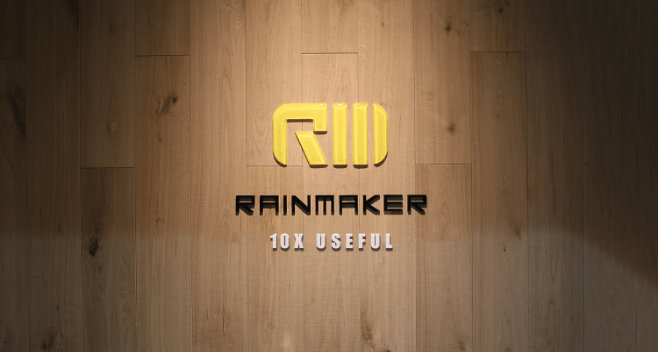 Rainmaker, Inc. is a technology company with a mission to make a meaningful contribution to society by uncovering the scattered needs of providers and consumers and effectively matching supply with demand. We promote the development of products that will provide a user friendly experience that can increase value and convenience to people’s lives by a factor of 10. In order to realize our dream of helping in the creation of a perfect modern society, we stick by four core values: Stay positive in bad situations, Begin from the goal, Be your audience, and Always consider option C.
© 2018 - 2019 Rainmaker, Inc.